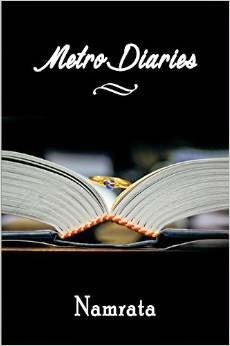 Metro diaries is a collection of love stories - love of the young , the old , the best friends , the strangers too. Love is a universal emotion and so are these stories. Some of the stories make you feel that you know the characters like a dear friend or maybe at times you might see yourself in some of them. My favorite story was "Thing called love" where I felt the writer showed her best skills in terms of character sketch and plot of the story. Another story I liked was "Love the dreams" which was so beautifully crafted from teenage jealousy evolving over years into a mature and stable relation. There are few other stories that touched my heart , made me flow with the emotions penned by the author for a moment. The book had random verses as introduction to each story which showed the versatility of the author. What disappointed me about the book was length of some stories. There was just a flash of the events and much details of the emotional state of the cast while I needed more to chew on. I like a story with well crafted background and end. And then lobe stories are not just about the two people involved or the bad exes. There are so many shades and phases of love that were left untouched. The writing style also becomes a little repetitive in some stories. Overall a good attempt but the author definitely has a lot more to offer.